The arrival of my new Seagull Artist series (paid for by me) is changing my recording ability and sound dynamics in my studio. I am happy to announce that I will be featuring this Seagull Artist Studio C. The video review is coming soon, and will be posted on my YouTube Channel. SOUND: My already owned, Seagull S6 Coastline Folk Guitar (review video - http://bit.ly/2DwYEFE), sings with a Cedar top in a restrained but resonant harmony. I was amazed how my songs, both singer-songwriter, and instrumental, took on a life of their own with a fast neck and deep quality of tone. It compromised no quality to be affordable and that reflected my own common-sense budget while seeking superior sound. When seeking a louder, studio-worthy instrument for projection and volume of strumming, I reached for Seagull’s top-shelf, Artist Series. This flagship model stuns visually and aurally with a mahogany neck, solid rosewood back, and a solid spruce top with adirondack spruce bracing. What does this mean? The guitar sings! It’s bright but balanced and ready for stage or studio performances. Go play one! You’ll agree, I’m sure, within 30-seconds, that this is an elite instrument in terms of sound. Plus the cutaway lets you get anywhere you want on the fretboard, comfortably. Sustainability: Seagull cares about the overall environmental approach to guitar making. They are building and leading the way with innovations to tread lightly and protect natural resources and practices for their musical road ahead. They avoid exotic international woods and make smart choices with their sourcing. North-American made: I love a global economy, but at the same time trust my guitar makers here in North America. I had owned Martin and Taylor in the past, and it was my Seagull in my studio that chriped for a partner from Seagull in Canada. I loved the story of a small village with half of the population being luthier. I was charmed by their website and enticed by their Canadian lumber and production facilities. Seagull was a company that instantly filled my head with ideas and potential. A Canadian company fit with my past three years of the Danny Hauger Travel Podcast - Vancouver (http://bit.ly/2GcrbSx), Toronto (http://bit.ly/2DDDHMu), and In 2018, Ottawa. 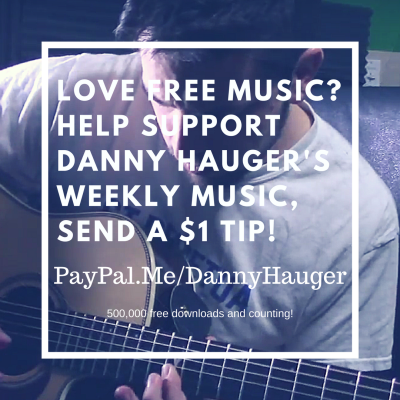 Watch my guitar review of the Seagull Artist Studio CW Element, and help support my independent music by subscribing to my YouTube Channel: DannyHauger (http://bit.ly/2lHNeGY), my free weekly podcast with free song downloads: Danny Hauger Podcasts (http://bit.ly/2Gcw0eH), and supporting me on iTunes (https://apple.co/2rDnp19), Amazon (http://amzn.to/2GdibfW), or Spotify (http://spoti.fi/2DIEsEd). Thanks for reading and watching. I was not paid for this review, and paid for the instrument myself.